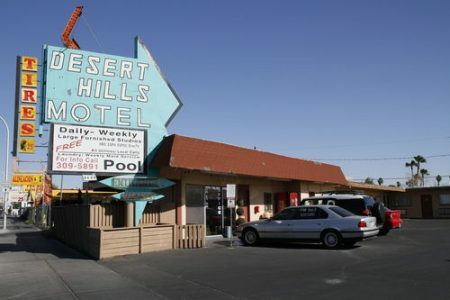 The Desert Hills Motel, 2121 Fremont Street, does its job: offering comfortable accommodation at an excellent price. 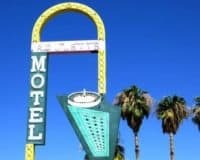 The Desert Hills Motel is situated downtown just a ten-minute drive from the famous Vegas Strip, meaning that it is an affordable accommodation option, for people who want to spend their hard-earned cash on Vegas’ legendary entertainment options. While it is also close to the Las Vegas Convention Center, making it a good option for people in town on business as well. The motel offers free WIFI, which can be accessed throughout the property, along with a seasonal outdoor pool and sundeck, for guests to get some refreshment during the hot Vegas summers. It also provides complimentary discount coupons to a nearby gym, along with washing facilities and a friendly business service at the front desk. 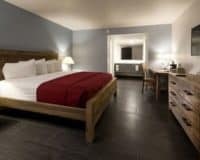 The rooms are spacious and come with a television equipped with cable and HBO, a refrigerator and microwave combination, so guests can whip themselves up to something to eat and comfortable and modernly decorated furniture. 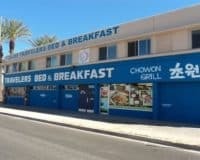 This means that the Desert Hills Motel is ideal for those looking for well situated and affordable Vegas accommodation. It is most definitely not the most luxurious place in Vegas, and if that is what you want, then you should look elsewhere. However, it does its job: offering comfortable accommodation at an excellent price.